Yesterday I was lucky enough to attend the Raspberry Pi third birthday party event in Cambridge. While I was there I took the opportunity to talk to the lovely Dave Honess about the competition he is helping to run for Raspberry Pi in collaboration with the UK Space Agency, Astro Pi. The competition was launched a month ago at BETT, and I will readily admit that I wasn’t particularly fussed about getting involved. I wasn’t inspired and didn’t think I had the time to take part; however, after a long chat with Dave, I now feel really enthusiastic and excited about it as well as being full of ideas. So what is the idea? One of the astronauts heading to the International Space Station, Tim Peake, has agreed to take a special Raspberry Pi into space with him. They’d like schools and Code Clubs to think up ideas for using the Pi and it’s sensors in space so that they can send their code into space! Dave pitched the idea to me by suggesting that the Pi would be like a device at home on the shelf. What would you like it to do? What do you think an astronaut might like to have it do? Perhaps it could tell a joke whenever the motion sensor detected the astronaut go past or else display the flag of the country the station is above. The KS3 and 4 competition seems more geared towards recording data and results, but for primary, there seems to be a push towards a more fun app being planned and designed. Also, in a primary school the children just need to come up with an idea and then the guys at Raspberry Pi will create the code. I’d like to find a video showing what conditions are like in the Space Station with zero gravity etc. and use this as a discussion point for what you might need if you were there. From this you could move on to what you would miss most if you were space for a bit of cross curricular PSHCE. Finally, this would lead on to what could you use the Raspberry Pi for in space- what do you think the astronauts might want or need that the Pi can provide? The children could then work in small groups and develop their ideas for a useful app in the space station – I’d also spend a little bit of time looking at the experiments theme ideas on the Astro Pi website (Spacecraft Sensors, Satelite Imaging and Remote Sensors, Space Measurements, Data Fusion, Space Radiation), but I think from a primary perspective it would be simpler to focus on ways to entertain the astronauts while they’re away from home. I’m quite excited to get involved – entry seems very easy and I think it could be done in a single afternoon rather than spending too long fitting it in. I think you could get children really excited about science and space and bring in some PSHCE too so it’s got some good cross curricular links. What more could you want? With a few more resources in place it should be an excellent and fun competition for everyone to be involved in. So, very simply, I’d like to encourage more of you to take part in this competition – the more people who get involved, the more likely this competition will run again and I think it would be a great idea to get children interested in coding – a real time application for code and the Raspberry P. The competition closes on 3rd April, so you still have a month to get your ideas together. great blog post! I’ve been lucky enough to be involved in the Astro-Pi competition and have created some educational resources to help… including great videos of weightlessness and lots more. You’ll find them at http://www.nationalstemcentre.org.uk/elibrary/collection/2008/astro-pi just get in touch if I can be of any help at all! I can only find pdf files on that page. Am I missing the videos? 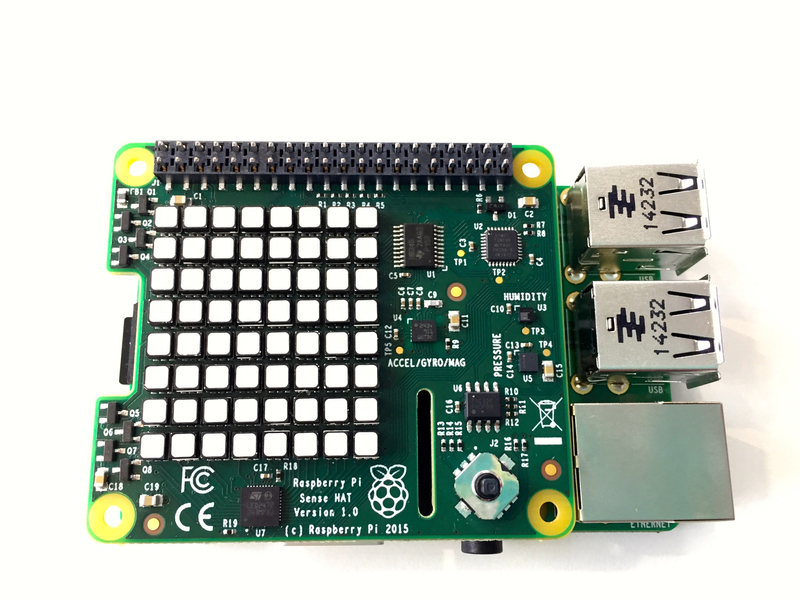 I’ve just had my worksheet back from The Raspberry Pi Foundation so will be trying it out this week and will let you know how it goes! Hi Andrew, I have a meeting next week with the Cypress head and we are going to see if this would fit in with years 5 and 6 I get back to you shortly after the meeting.